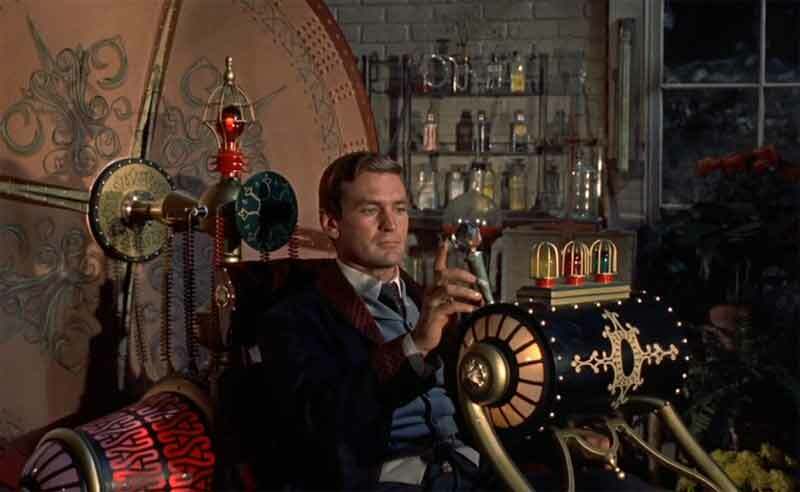 Go 5 minutes back in time and destroy your time machine before you get in just to see what happens. Go back in time and ruin your parent’s marriage before you were born. Go back in time 1 minute and greet yourself. There are now two of you. Do this 999 times more, so that there are 1000 of you. If you have the patience, fill the whole earth with yourself. Go back in time one minute so there are two of you. Then zoom 20 years into the future and get all your old you’s memories and experiences and kill your old self. Repeat and continue until you are 1 million years old. Go back in time with you and your time machine 1 minute, so there are 2 yous and 2 time machines. Each of you repeats this until there are 7 billion time machines. Give one to each person on earth, sit back and enjoy the show. Go back to 1933 and kick Hitler in the balls, go back one minute before that and do it again. Repeat. Take your girlfriend to the top of the Empire State Building. Tell her you’ll be right back. Take your time machine to earlier that evening and rearrange the CitiCorp sign so it lights up with her name on the tower. Return one minute after you said you’d be gone, point out the sign and reap the rewards. Go back in time one billionth of a second over and over so you are invisible. Go back to the Cretaceous (not Jurassic) period and take photographs and videos of velociraptors. Bring the photos to Steven Spielberg and explain to him once-and-for-all that they had brains the size of a pea, and were not smarter than people. Find someone with a “WWJD” (what would Jesus do?) sticker. Send him back 2000 years so he can ask in person (I didn’t say anything about bringing him back). Climb to the top of Mt. Everest with your time machine. Open a parachute just as you travel 10 million years into the future. Then float down onto the eroded hill below. Go one year into the future and find out all the new fashions. Bring some back and wear them in your own time, then constantly brag about how you are always ahead of your time. And finally, get the winning lottery numbers, horse race winner, stock market successes, and get yourself very rich indeed. Got any more? Add them in the comments, and they had better be good. Don’t make me go back in time and break up your grandparents’ marriage.